Being in the mountains isn’t just about the skiing and snowboarding; it’s about the lifestyle, culture, and picturesque scenery! It’s the most famous because it is the most impressive. 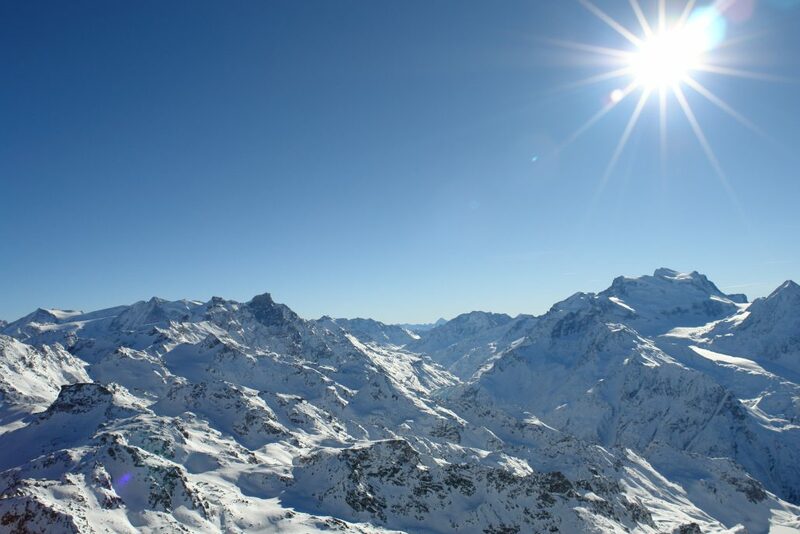 The skyline is majestic, with an almost 360° view that includes Mont Blanc, and the Matterhorn of Cervinia/Zermatt. (From which Toblerone is resembled!) Mont Fort can be accessed on foot by any non-skier, and a reduced pedestrian pass is available from the lift ticket office. 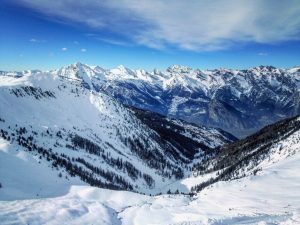 Also accessible for those who prefer the stability of their own two feet, La Chaux overlooks Grand & Petit Combin, a magnificent range that is always covered in snow. When it is sunny, it is pearlescent, and is almost magical in the way it seems to shimmer. Hosting one of the two beginner areas on the mountain, it is a beautiful place to learn to ski. This view has to be earned, and it is only accessible if you are an experienced skier or rider. It is a long itinerary run, which means it is controlled off-piste. Its beauty is in its scarred and steep sides, and the feeling of desolation when you are the only ones in the valley, so you feel truly cut off from the modern world. 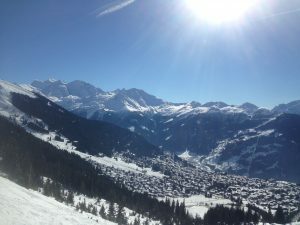 Considered the quieter side of Verbier, Savoleyres has wide, open, mellow pistes, making it ideal for beginners and nervous individuals. 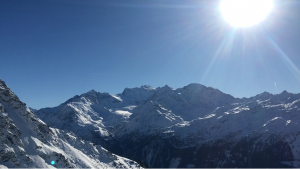 The view from the top (accessible on foot) overlooks Verbier from the opposite side of the bowl, a great way to see the entire resort whilst catching some rays! Bruson is typically favoured by advanced skiers on snowy days due to its tremendous powder options through the trees. 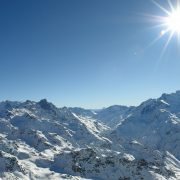 Take advantage on a good day of its under-use on the 4 Vallées pass, and you will be one of few on the mountain. 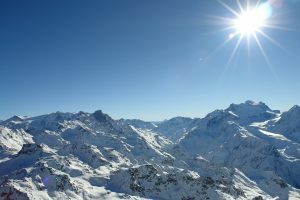 With a view back to Verbier, or on to France, it gives a unique perspective from the furthest resort on the right hand side of the 4 Vallées.